My husband and I had such a good experience with Altar Ego! Truly the best wedding ever--in no small part thanks to Altar Ego's amazing planning skills! We had the privilege of working with Jen Ashford--who was super organized, punctual, and kept us on-top of all of our to-do list items starting about 9 months ahead of our wedding. I loved how Jen Ashford was willing to adapt her system and priorities to fit with what worked for us and what was most important to us. Jen incorporated what we called the "weekly huddle email" where she would check in on our progress from the previous week and remind us of upcoming to-dos for that week. It worked wonderfully for us! I also loved how Jen incorporated good humor and a good attitude with all our communications--she was also excellent at being diplomatic when tensions and stress were high between family members. And! Without missing a beat, she gave a very educated and thorough explanation to my MBA-holding, Business-minded father, as to why weddings tend to be much more expensive than other events--*note* it is not completely what you think it is--remember that you're paying for a higher caliber/ better trained personnel and vendors when you are talking about your wedding, also if you are paying for a plated dinner, you're asking that all the food be ready at essentially the same time--things like these wedding details add up! Jen can explain better than I am, but it satisfied my business-minded dad. (Thanks, Jen!!). I also appreciated that Jen had so many great vendors to recommend to us--she is a leader in her field and has many many years of experience and networking under her belt in a very competitive field. I don't know what we would've done without her guidance and recommendations--it is so easy when you're on your own to get bogged down just in trying to select one vendor. And we all know there can be MANY vendors to hire for a wedding. Additionally, I so appreciated Jen's openness to learning and working with our request for a wedding ceremony that was very reverent and religious (and which had quite a few logistical details to work out). The vendors that I selected (especially ones that Jen had never worked with before), all said that Jen was amazing and a pleasure to work with! Finally, Jen is able to calmly roll with any unforseen glitches in weather etc--since our wedding was outside, we had arranged a rain plan, but had decided to go ahead and get married outside. The morning of our wedding it was pouring rain and Jen very calmly helped my family and my husband to make the decision to continue moving forward with the plan to keep the wedding outside. The weather was amazing during our ceremony--only a couple drops of rain and perfect temperature. We are so grateful that Jen led us through and had umbrellas etc ready to go, if the rain had persisted. I also want to give a shout out to Jen for sending us to her in-house graphic designer, Jen Krause! Jen Krause is not only an amazing event planner too, but she created an entirely custom style guide and suite of wedding invitations (with beautiful hand-calligraphy), place cards (also done by hand! ), thank you cards, custom return address stamps and day-of signeage that was gorgeous and stylistically pulled everything together in an amazing way! We are so grateful! Thank you, Thank you, Thank you! The best day of our lives! We can not thank Jen Krause and Altar Ego Weddings enough for an absolutely perfect day! Jen helped plan and execute our recent wedding and was amazing to work with. I had narrowed down a venue that I liked and caterer that I was interested in hiring, but she made it and all of the rest of the details happen! My venue hadn't hosted a wedding reception before, so Jen was a godsend figuring out the logistics, orders, timing, and vendors. She was so helpful in narrowing down so may Pinterest options into things that made sense with our space, season, and overall feel for the wedding and reception. The area experienced catastrophic flooding the week before our wedding and Jen managed our rain plan 2.0 with such ease - I didn't think about a single thing that day other than marrying my husband and enjoying all of our family and friends celebrating with us. For that and such a pleasant and stress-free planning experience, I would absolutely recommend Jen Krause and Altar Ego Weddings! Jen was extremely responsive from day one. She was the first vendor I hired and had nothing but great recommendations and advice throughout our wedding planning process. Though we only contracted Jen for day of services, we got so much more than expected. She recommended vendors, reviewed contracts, answered any questions I had, and was very organized when it came down to the last few weeks before the wedding. On the day of our wedding, I was completely stress free and did not worry about a single detail. Jen had everything covered and made sure my husband and I had a wonderful evening. Our family was blown away by Jen's attention to detail, professionalism, and what all she handled on the day of. We cannot thank Jen enough for allowing us to have the most amazing time at our wedding! If you don't know whether to hire a wedding planner in the first place...all I can say is this: unless you are unemployed or can take a 6-month to 1-year vacation to plan your wedding, then you absolutely, 100%, should hire a wedding planner in some capacity. You don't need to pay thousands of dollars for full-service wedding planning if you don't need it/can't afford it (and there are an infinite number of ways you can personalize a package with Jen or Heidi to fit your specific needs). You will not regret hiring a wedding planner for a single, solitary minute. I promise you that much. Now for those of you that already know you want a wedding planner and want to know whether Altar Ego Weddings is the winner, I will say resoundingly: YES. I live in Dallas but booked a venue in Austin, so I was looking for someone that had connections with vendors in both cities. I knew 5 minutes into meeting Jen (who is Austin-based) that I'd found my wedding planner - she is sweet, funny, relatable, and above all, a GREAT listener. She understood my vision before I realized I even had a vision. That's how good she is. Jen was on top of things from day one in a way that I could never have been even if I had all the time and money in the world to do it on my own. She knew exactly what schedule to follow for when we should hire vendors and always provided 2-4 options for me to consider (more if I wanted). This by itself made her worth every penny because I never had to worry about reliability or reputation - I was able to trust her judgment completely. We had a great mix of Dallas and Austin vendors and - I had booked Jen even though I knew she wouldn't be available on my wedding day - her partner Heidi (who is Dallas-based) was my day-of coordinator and she was fantastic. I had a fairy tale wedding with amazing vendors and the best planning experience I think anyone could ask for. You won't regret hiring either of these ladies. 20 million stars for Altar Ego Weddings!! Jennifer & her team were AMAZING. Jennifer went above & beyond on our wedding day to make sure we were relaxed, happy & ready to celebrate! I would HIGHLY recommend Altar Ego for any wedding planning needs. She made sure that our 'vision' was executed and really made our day special. I don't think I could've gotten through the craziness of wedding planning without her - she's easy to talk to, friendly, professional and dependable. I knew right away that she was the planner for me with her cheery and happy attitude. I was happy to know that our day was in amazing hands and all we had to do was have fun! We thought about planning the wedding without using a wedding planner. With so much information available thru websites, we figured we could do it on our own and save some money. WOW were we glad we changed our mind. Heidi was a dream to work with- highly professional with an extremely warm personality. The day of the wedding she took care of ALL the vendors and ALL the details of the wedding and reception so that we could focus on ...the wedding. Everyone involved in the wedding loved working with Heidi- she was the best decision we made during the entire planning process. So, if you are thinking of planning the wedding on your own...DON'T! Hire Heidi so you can enjoy the wedding! Jennifer was the magician for our wedding. She helped me tremendously from the day I emailed her asking for info all the way until I had left the wedding. I never had a worry about something going wrong because Jennifer not only communicated with me, but she was on top of everything. She knew exactly what I needed and figured out my style so she would be able to make great decisions. I was skeptical of needing a coordinator, but did it since I was not living in the area--DO IT! She really did make the ultimate difference on my stress level before, during, and after the wedding. She was personable, easy to get along with, showed her knowledge, and went above and beyond. 100% recommend to everyone. Heidi, Thank you for all your help during the planning process and the day of wedding. You were wonderful, and we received so many comments about how good you were and so nice! We really enjoyed getting to know you as well. We wish you all the best and if you ever need a dose of laughter, we are at your service! Jen was amazing!! She is so considerate, organized, and efficient. She got all the details together leading up to the wedding, and the big day went SO smoothly thanks to her! Jen is the reason my fiancé and I were able to completely relax and enjoy the wedding. We feel so lucky that we found Heidi to help us with our wedding planning. A number of brides that we asked for recommendations did NOT like their wedding planner. My daughter found 2 clients of hers who recommended Heidi, then we discovered that a friend had used Heidi also. They all LOVED Heidi, so we felt very confident hiring Altar Ego. We used Heidi for the month-of planning. She was very professional and laid out in her contract exactly what she would do for us so we know exactly what to expect. The part that was most important to us was having her make sure that everything went according to schedule at the wedding without us having to worry about it. She did that, but did so much more. She kept in contact with all our vendors and made sure they would show up and met them the day of the wedding. She met with us a few times to go over all our planning, went to our venue with us to figure out how everything would be set up with our caterer, and was available by phone or email anytime we needed anything! She was at the rehearsal to make sure everything was all set and everyone knew where they should be. Then she was there all day with her assistant, Jaqueline overseeing all the setup, the wedding itself, then the event breakdown. They both worked so hard! We had a pretty complex setup because there were so many personal items my daughter wanted incorporated into the reception. Heidi took it all in stride and was great all day long. In addition to being detail oriented, she is also fun! I've probably rambled on long enough, but just know that if you decide to use Heidi, you won't be disappointed. She has a lot of experience so she can give good advice and she will also keep you calm! Jen and Heidi were the absolute best! We contacted Altar Ego Weddings at the very beginning of our planning process and we are so glad that we had them through everything. An entire year of planning! They connected us with great vendors and made sure that everything would be taken care of the day of the wedding. We had absolutely nothing to worry about the day of and I am so thankful for that! Our wedding was even more beautiful than we had hoped for thanks to Altar Ego Weddings! If any other brides are still on the fence about hiring a wedding planner my advice is to DO IT! It will be the best money spent on your wedding without a doubt. We loved working with Altar Ego Weddings and will definitely be recommending them to everyone! I will miss you guys...until I see you at all of my friend's weddings! Love you! Jennifer was amazing. It was so comforting to know she was on top of everything - from scheduling to confirming with vendors. My father even mentioned how in-control she was of the whole event, and how she kept all of the "crazy" away from the family so we could enjoy the day. We LOVE LOVE LOVE her! Heidi was amazing! I was planning my Dallas wedding while living in Corpus Christi and could not have done it without her help! She connected us with the right vendors and made sure our limited time in town planning was spent as efficiently as possible. We actually had an issue with the venue point of contact and Heidi was able to get it taken care of right away - she was sweet and hard-working, and always took care of us! On our wedding day, we didn't have to worry about anything! Heidi and her assistant took care of all the set-up, clean-up and keeping us on track so all we did was enjoy the day!! Getting a planner was the best money we spent - Heidi was completely worth it! I highly recommend her! Jennifer did a great job with tying everything together. We had a meeting a few weeks before the wedding and she covered things that I would have never even thought of! Everything ran very smoothly the day of. Couldn't have done it without her! I truly cannot say enough good things about Jen. She was so awesome in every way. I cannot even imagine my wedding day without her - she made everything run smoothly and stress free. I didn't have to worry about a single thing thanks to her! HIRE HER! Best decision I made by far. My wedding reception went perfectly!! Jennifer and her assistant went above and beyond to accomodate my needs and make sure it all went well! Great with communication too! "Our wedding was just amazing! My husband and I woke up the next day and couldn't stop gushing about it!! All our friends said it was great and my parents even asked how did we do everything so wonderfully. We gave Jennifer our ideas and she executed everything perfectly! I did not have to worry about a thing and we were able to just enjoy the wedding without having to worry. What more could I have asked for? Oh, and not once did I have to worry about an empty glass. Jen or her assistant was always there with a fresh glass as soon as I was done :) Thank you, Jennifer!!" "I have to start by saying that I am a very organized and detailed oriented person so finding the perfect wedding planner was going to be a difficult task. I met with at least 20 wedding planners before I met Jen, and after I met her I knew she was it! She is so down to Earth and professional and just makes you feel at ease. During the whole process, she would respond to any of my many emails or text messages promptly and go out of her way to make sure I was okay with everything. She was also excellent in communicating with all my vendors and making sure that everything was in order so I wouldn't have to worry about a thing. On wedding day, Jen and Heidi were fabulous! Everything was perfect and ran flawlessly! And if there was anything that was wrong, I had no idea because they took care of everything! I had so many worries and concerns that my vision would not come out the way I wanted, but with Jen on my side, I knew I had nothing to worry about. If you want your dream happen to go on without a hitch, then there is no other choice than Altar Ego Weddings!" "Jennifer is an outstanding wedding coordinator and worth every penny. I hired Jen to handle "month-of" coordination for my wedding because I was confident in taking care of the big stuff myself but I wanted someone to help out the day of. I was still able to rely on Jen for recommendations, support, and feedback throughout the year I was planning my wedding. She connected me with vendors, identified cost savings, and talked me off the ledge when I was stressed. The biggest impact Jen had on my wedding was the day-of coordination. She put together an awesome timeline and communicated with all of my vendors. We knew rain was a risk and out reception was outside. Jen kept track of the radar and made sure we had our perfect ceremony outside. She then managed to flip our entire reception setup to an inside space so seamlessly that guests kept telling how great she was. I found the rates at Altar Ego to be very reasonable, especially for the package I selected. Jen ensured that I could focus on my family and husband, which made the day all the better. I highly recommend Altar Ego." "Jen rocks my world!! I was the most relaxed and laid back bride on my wedding day because I knew Jen had everything under control. From the day my husband and I met her at Starbucks, I knew this was going to be a good relationship. Jen was very accessible....quickly responded to my emails...calmed me down when I had bride nightmares and freak outs and was always there when I needed an opinion or second opinion. She has WONDERFUL vendor recommendations as well. One awesome thing about Jen is that everyone loves her and loves working with her so it made our wedding day go so smoothly. Thank you, thank you Jen for dealing with my detail-obsessed dad and making sure the umbrellas did NOT happen. 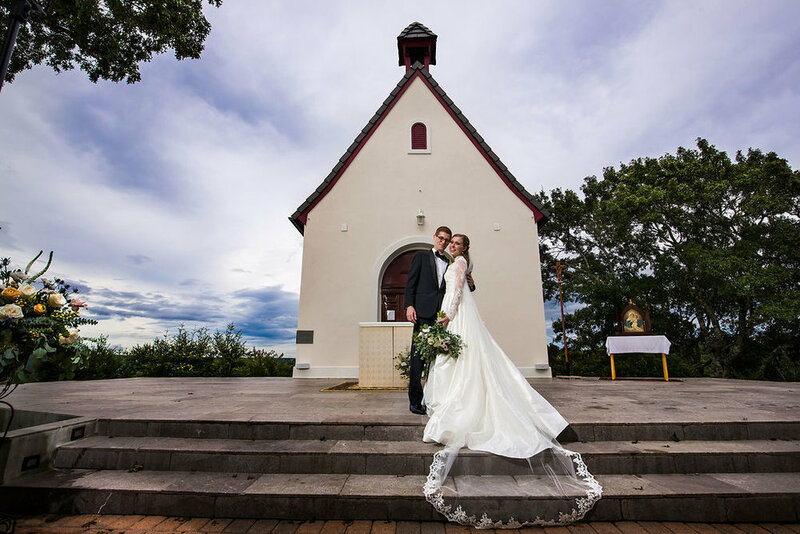 We would hire you again in a second--maybe when we renew our vows :) We definitely have our happy ever after because of your efforts and attention to detail on our day!" "Jen is beyond amazing, I would had been completely lost without her! I didn't hire Jen until about 2 months before my wedding, she helped me fill in what I was missing and helped me find vendors that I was still needing. She helped me negotiate my contracts which I was really grateful for. She gave me the confidence that my wedding was going to be nothing short of amazing and exactly what I wanted. Whenever I emailed/called/text I always heard back from her within one hour or less. My wedding day went very smoothly and if I needed anything Jen was right there to make it happen. My husband and I were at Hobby Lobby trying to find a cake topper and they had a binder/book titled, "The Ultimate Wedding Planner" my husband took it off the shelf and said, "Hey look a book about Jennifer!" We were beyond satisfied with Jen and I would recommend her to my friends in a heart beat!" I hired Jennifer as a day-of coordinator. My mom thought hiring a day of coordinator was an extravagance, but by the end she was extremely relieved. Jennifer was at the venue getting everything ready with her assistant all day long, coordinating all of the deliveries and even helping decorate along Heidi. She was a great resource to ask questions about logistics and the way to set everything up. Her and her assistant remained calm which helped keep me calm. She went above and beyond and helped us figure out to do when our venue completely neglected to tell our band that they didn't have an adequate power source until two days before the wedding. I would have had no idea what to do in that situation without her. I highly recommend Jennifer as someone that is easy to talk to, a great value, a hard worker, and someone that is passionate about making her customers happy.